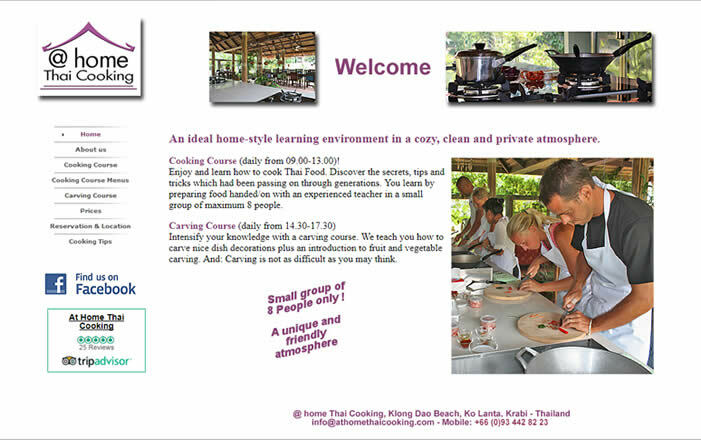 Sai Thai Cooking School, formerly @ Home Thai Cooking, is one of several businesses that offer Thai cooking courses on Koh Lanta, Thailand. Sai Thai’s niche is for the more advance student and restaurant professional. The client needed a complete branding and website makeover. The original name had not been well thought out, and the website they had was created by a friend as a first project. So, we started by changing the name from @ Home Thai Cooking to Sai Thai Cooking School, and kept only one part of the original logo for continuity. Then we went about putting the joy of cooking at Sai Thai in a visual form. 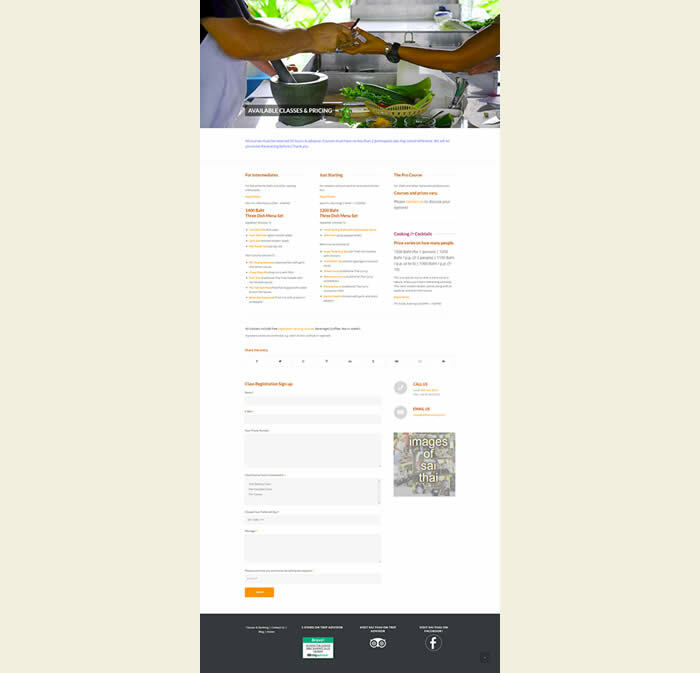 Sai Thai now has a beautiful looking website that visually speaks what it is like to learn how to cook Thai food well, while enjoying the process. The new site is now mobile device-friendly, and can be updated quickly and easily using the dashboard tools.